Fret and Fiddle formed in 2001 as a duo making their mark as a tribute to Stephane Grappelli and Django Reinhardt. 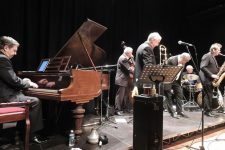 The co-founders of the group, violinist Sally Minchin and guitarist Andy Bole, embarked on their project ‘Grappelli Swing’ in 2014 to wide critical acclaim playing as a four-piece line up on their UK tour. Now they are joined by the phenominally talented Steve Street on drums. Steve adds a whole new vibe to the group, giving breath to the high energy styles and catapulting the band into greater musical possibilities and genres. Prepare to be dazzled by Fret and Fiddle’s show which takes you through the swing music of the 1920s, the blues, americana, folk, gypsy and some foot-tapping fiddle tunes. 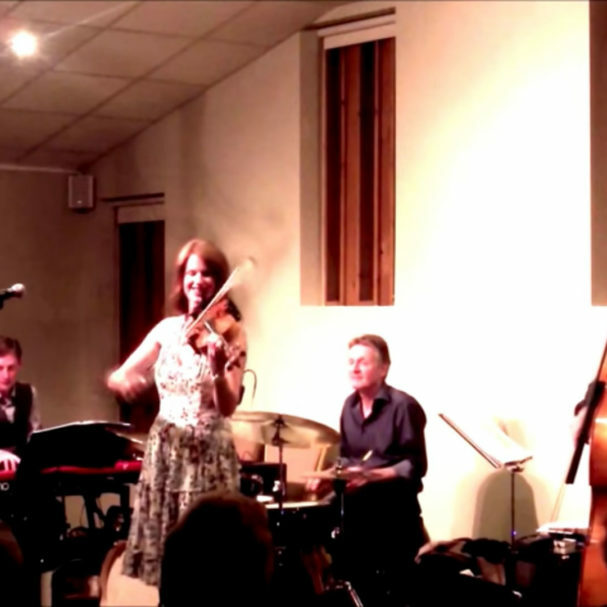 The band comprise Sally Minchin (violin/vocals), Andy Bole ( guitar, bouzouki, banjo), Rich Hughes (piano), Simon Smith (double bass) and Steve Street (drums and percussion).